In what has proven to be a controversial move, Turkish Justice Minister Bekir Bozdag announced last weekend that Turkey will build separate jails for openly gay prisoners, supposedly to "protect" LGBT inmates from harassment. Whether well-intentioned on not, it'll be the first of its kind and will no doubt have some pretty extreme consequences — especially considering that there are only 79 openly gay prisoners in Turkey. 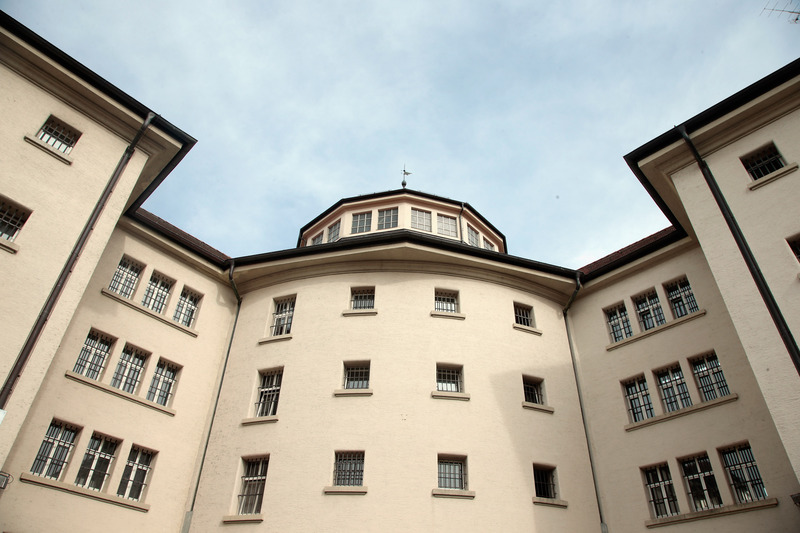 "Projects are under way for the construction of separate penitentiaries to house inmates with divergent sexual orientations," Bozdag said via the parliament's website. "Convicts who stated that they are gay will not mix with other convicts in the communal area or during social activities in the new prison facilities." Although admittedly problematic, the move isn't coming out of nowhere. According to a Turkish News Agency, a report released in December by the Parliament’s Human Rights Research Commission’s Prisons Subcommittee documented the vile conditions faced by prisoners in several Turkish prisons, drawing particular attention to the situation of gay and trans inmates. “Gay and transsexual inmates live in the same cells, and they complain about their emotional health. A transvestite said she was feminine at the time she was jailed, but now she is not allowed to be [feminine]. Another inmate said they suffered because of their sexual identities, and said their section was the only area without security cameras,” the report reads. Though homosexuality isn't illegal in Turkey, the country's legal practices are often homophobic. Just recently, legislation that would have made it a "hate crime" to target gay men and women was struck down, though the category was broadened to include crimes based on race, nationality, skin colour, gender, disability, politics, and religion. Another recent report compiled by the Turkish LGBT Rights Platform also pointed to the rampant discrimination faced by the transgender community (as well as transgender advocates) at the hands of law enforcement officials. Said a spokesman for the Turkish LGBT rights group Kaos GL regarding the government's decision: "This is a medieval-age practice. This kind of segregation is nothing but a punishment. Instead of creating public areas where people from all sexual orientations can live together, the government has once again chosen to ostracise homosexuals." "This will lead to the profiling of gay prisoners, as well as their families and the prison itself. How will the government be able to protect those prisoners who are not openly gay?" he added.